Samsung has finally another most waited Os rolling out the Android 8.0 Oreo beta update for the Galaxy S8 and S8+ in USA, UK and Korea. In this update is live now you should get easy to in your Galaxy s8 phone. The most waited and advanced functionality to update comes with Samsung Experience 9.0 OS and is now rolling out as an OTA to those who sign-up for the Galaxy Beta Program on their smartphone. The world most popular smartphone Galaxy S8 is now getting the Android 8.0 Oreo beta. But it will only be available for those who participate in the Galaxy Beta Program. So first to know about the where to sign-up for the Galaxy Beta Program after you can get Android 8.0 Oreo beta update on the galaxy s8 plus. 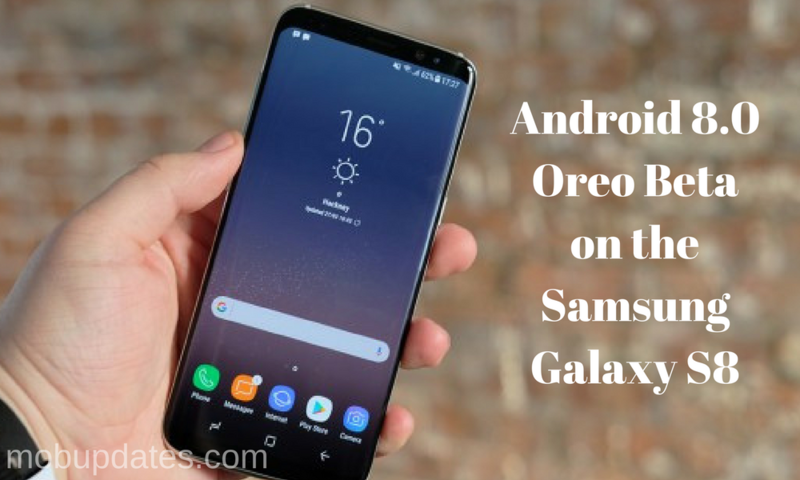 In this beta version, Android 8.0 Oreo for galaxy s8 is only interested users to get so that they can test it out and provide feedback to the company. So in this tutorial, we will explain the process to how to join the Galaxy Beta Program and how to get Android 8.0 Oreo Beta on the Samsung Galaxy S8 or S8 Plus. The process is simple with the complete guide below. Basically, there are two different ways to get the Android 8.0 Oreo Beta on Galaxy S8 or S8 Plus. So let’s drive with simple methods. Note: Currently, Android Oreo Beta is being rolled out to selected Galaxy S8 countries like in the US, UK, North Korea, and South Korea. It will soon release for India, Germany, Chine, France, and other countries. Before we start, we need to backup all the data to the computer or another drive. Steps 1: First Off, Download the Samsung+ app on your Galaxy S8 or S8 Plus. If you have to join the Galaxy Beta Program then in outside of US to download Samsung Members app. Step 2: Now sign in with your Samsung Account and ensure that your device is registered to your Samsung account. Step 3: After, wait a second, Samsung+ app will show you a prompt where you can enroll to participate in the Oreo Beta program. Step #4. Now All Process done, then enrolled your S8 for Android 8.0 Beta program. And just Go to Settings → Software update → Download updates manually to pull down the OTA. Step 1: First Off, Download and Install the Samsung+ app on Galaxy S8/S8 Plus. Step 2: Also to Download the Oreo beta zip file and unzip the contents. Step 3: Unzipped the File, click on start.bat. Step 5: After set your PC’s IP address as the proxy server in the Wireless LAN Adapter section. For the port, you need to enter 8888. Step 6: Now Open the Samsung+ app and you should see a prompt with a message that you are eligible to enroll in the beta! Well, now you can easy to get Android 8.0 Oreo Beta on Galaxy S8. try these methods and let know how it works. And, keep your eyes on Samsung+ and Members App to check the official OTA beta availability on your device. If you see any issue with the update, let’s know it in the comments or on Facebook, Twitter, and Google Plus.